Today, 88% of marketers are using content marketing – up 2% from last year, with as many as 76% of marketers planning to produce more content in 2016. What’s interesting is that increase is taking place despite more than 65% of marketers being unsure about what content is effective and what isn’t. 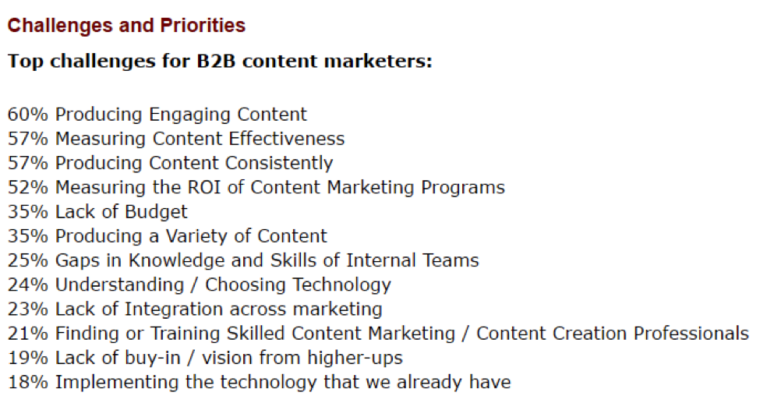 In fact, some of the top challenges for B2B content marketers is measuring the effectiveness of content and the ROI of their efforts. 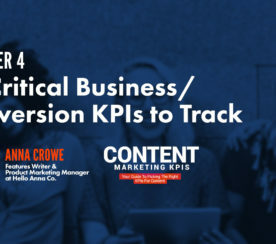 Being able to measure the success of content should be a priority for any marketer, but determining the success of content isn’t as simple as looking at a single conversion point. 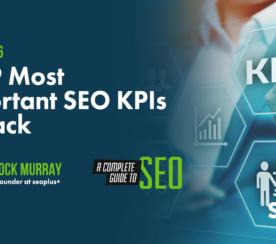 There are a lot of metrics you can dig into, but there’s no single set of metrics that offer all the answers. The number of social shares your content garners is a metric you should be tracking for every piece of content you produce as part of your content marketing strategy. 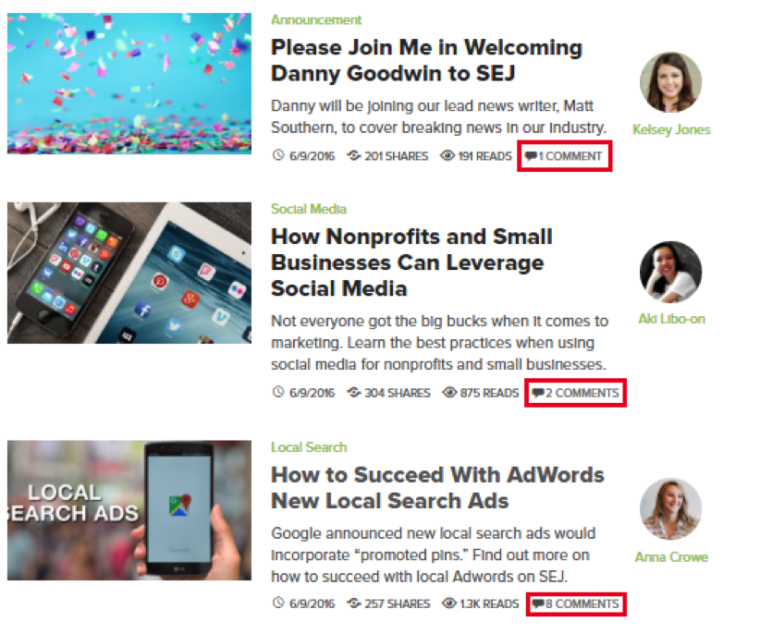 No, it’s not that definitive on its own, but it is a strong indicator of relevancy for your audience. Social media can lend a great deal to brand lift. Use your best performing content to set benchmarks for any new pieces you create so that you’ll know what to expect, as well as what your audience likes to see. While there are plenty of tools and plugins to simplify social sharing, not all platforms make it easy to gather data. In 2015, Twitter shared they were removing the counts from share buttons. 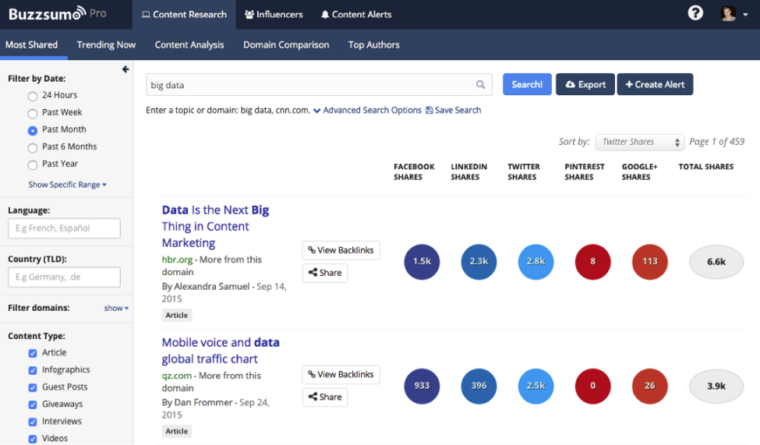 To get a complete view of social shares, use tools like BuzzSumo to track and compile the data for you. A good metric for tracking the success or effectiveness of your content is how long it captures the attention of your audience. 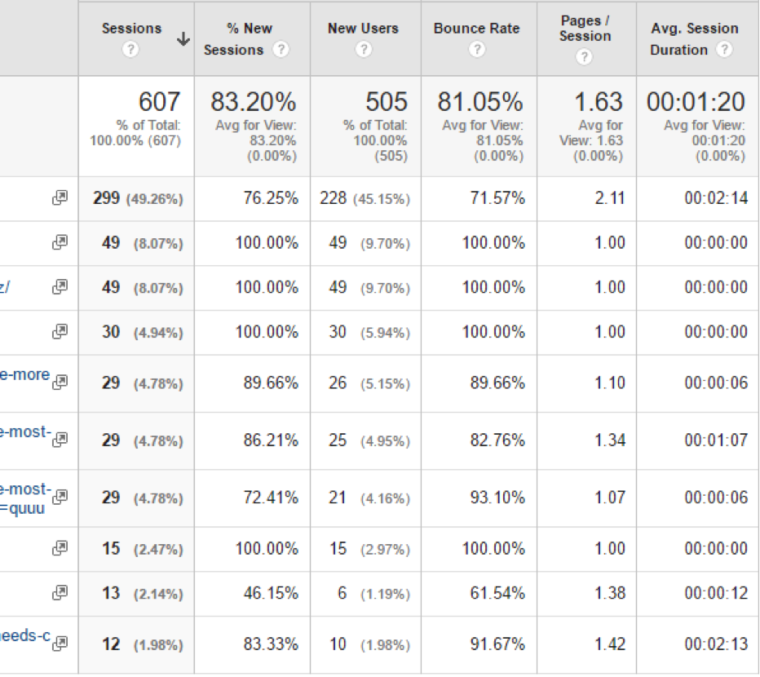 You can get a general idea of this with Google Analytics’ “time on page” metric. If you’re not tracking content engagement, then you can count yourself among the majority. Just under 30% of marketers actively track and monitor the length of content engagement. That would likely increase if more marketers knew that visitors who engage with content for at least three minutes were twice as likely to return to their sites. How else will you know what content and topics to leverage if you’re not monitoring the content that interests your audience the most? The only problem with “time on page” in Google Analytics is that it doesn’t tell you if people are actively engaged. If you were distracted by a phone call and never read a post after opening it, that’s not engagement, but it would impact the time on page metric. 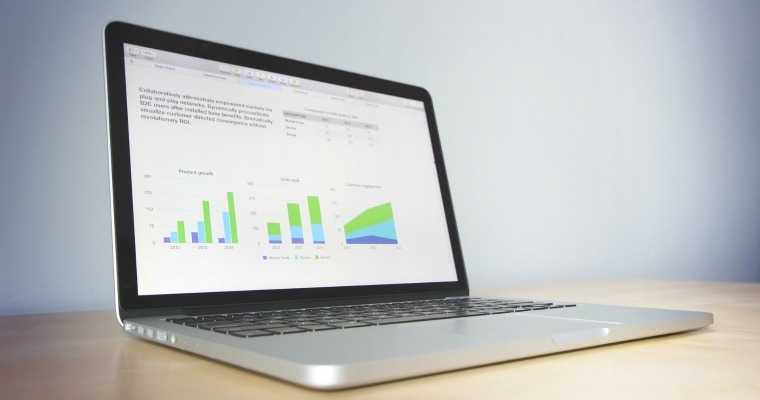 You want to track the metrics for every stage of your sales funnel, especially where leads are concerned. The leads you generate are the lifeblood of your business, and they’re likely the primary reason for your content marketing. Track this metric by looking at the number of leads generated from form completions, such as offer opt-ins, trial signups and email subscribers. You also want to track your lead-close rate. This is where it helps to have a CRM or multi-touch attribution system (Converto is one example) that allows you to see which of your leads can be specifically attributed to your content marketing campaigns. This way you can track the source of leads from the time they come in until the point at which they close, monitoring the content they consume along the way that contributed to lead closure. Measuring lead attribution and how leads close is an important part of your content marketing and sales process, but it’s not easy to know where to make changes without some additional data. If you’re looking at ways to improve lead closure and conversion rates, step backward in your funnel process to determine if you need to start by improving your calls to action. 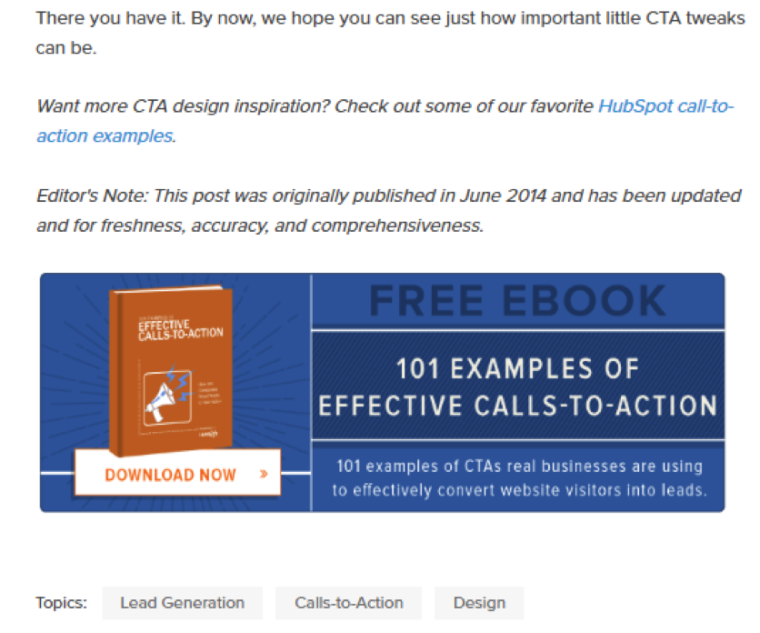 Use the click-through rate of your various calls to action to see how individual content pieces are performing throughout your funnel and whether or not they’re causing a bottleneck that prevents your audience from advancing through the funnel. This is also a good opportunity to look at the placement of your content in relation to your funnel and the buyer’s journey. Make sure your content is properly placed (top of funnel content for acquisition vs middle of funnel for relationship building) and that your calls to action and offers are appropriate for the stage of the funnel. 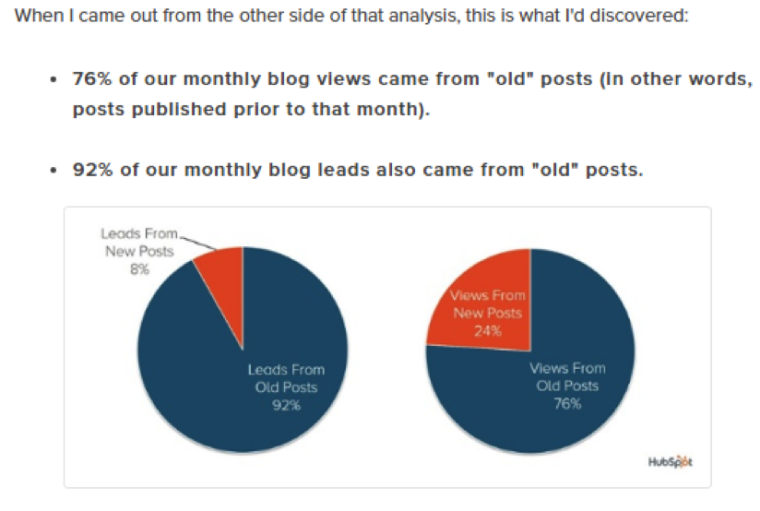 Sometimes you have to go outside of your analytics to measure the performance of your content by looking to your direct post engagement to see what readers think of your content. Ideally, you want each piece of content to be gateway to a vibrant and growing community, so compare the comment section and direct post engagement of your content with others published alongside it. Qualitative metrics can help you understand what your audience dislikes, what they love, or what kind of content sparks the best discussions. It can be frustrating when you’re generating high quality “10X content,” but there’s no one funneling in to read it. Measure the number of unique visitors to your site and keep an eye on this metric over time. This way, you can determine whether or not your content strategy is working, as well as how individual pieces of content are performing as part of that strategy to bring you new eyeballs. Just remember that visitor counts alone – even per post – lean heavily toward being a vanity metric. 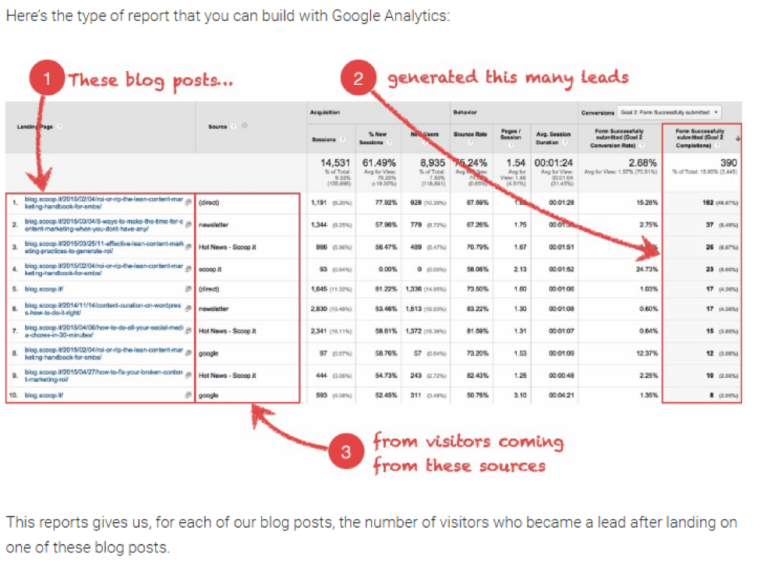 Raw traffic data isn’t nearly as important as what your audience does once they get there. For individual posts, pay close attention to engagement time, as well as bounce rates. Retention metrics show how well you’re holding the attention of your audience. 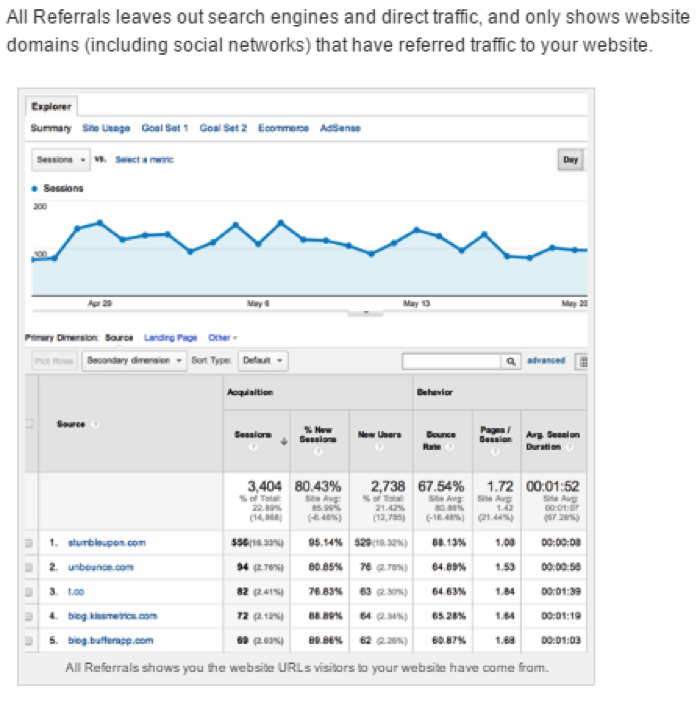 This can be seen in the percentage of returning visitors to your site and individual content pieces. You also want to monitor the frequency of returns, as this gives insight into the relationships you’re developing and how well your audience sees you (and your content) as a trusted authority and quality source. 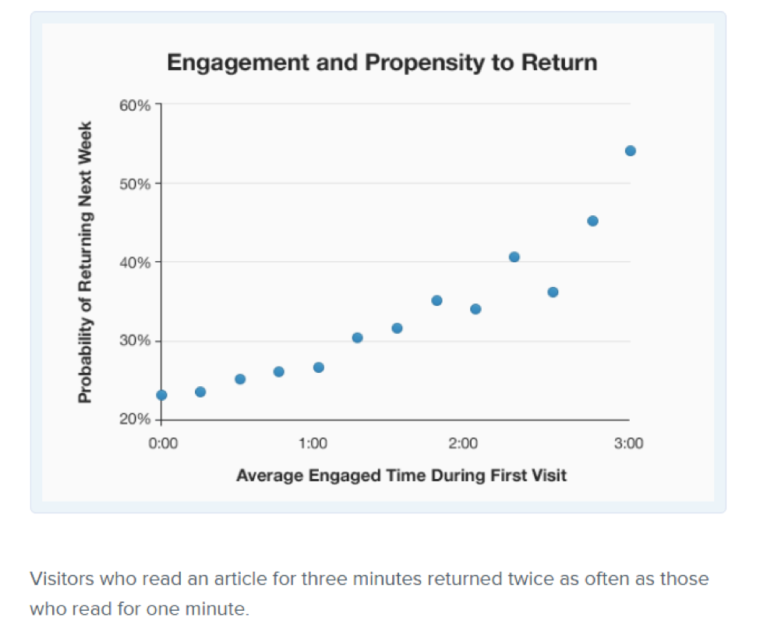 According to a study from Vulture.com, visitors who came to the site five times in a month were more likely to develop a pattern of regularly returning to a site. This is echoed by a case study involving Virgin Mobile, where consumers who experienced Virgin’s branded content between 5 and nine times were 278% more likely to purchase from that brand. Referral links or All Referral sources aren’t necessarily a metric to live or die by when you’re monitoring the performance of your campaigns. Not all of your content is going to garner a large volume of outside links, but those that do can reveal opportunities for future content campaigns. Watching referral paths can reveal guest blogging and content curation opportunities, as well as help you discover networking opportunities with other influencers in your industry. A sharp increase in natural inbound links is also a good indication that a piece is going viral with your audience. 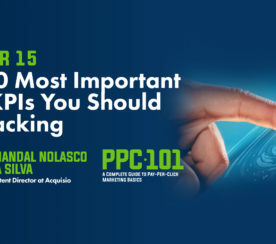 Pay close attention to the topics that are getting the most attention. I know it’s tough, but you should always calculate your return on investment (ROI) for your content marketing. Take into account the cost of production and distribution for each piece of content, and know the value of each lead once they close so you can distribute the revenue earned/value across each piece of content they consumed before closing. Ramp up time is important because it’s not only easy to improperly assume that content is underperforming if it’s not gaining traffic or leads, but it’s also easy to continue relying on content in your funnel well beyond the life of that content. HubSpot, for instance, analyzed older content and determined that ramp up time for content can take as long as a few months. Similarly, data from Bitly’s URL shortening tool found the half-life of links is just a few hours. Essentially, links created by the service have driven 50% of their lifetime potential clicks in about three hours. Pay attention to the longevity of your content, as well as the ramp up time it needs to gain traction. This will let you proactively respond to underperforming content to optimize it and give it a “freshness” bump.